An Honestly Easy Way to Purchase Your Next Vehicle! Holman GO provides a refreshing all-in-one solution that caters to your every pre-owned vehicle need. With upfront, no-haggle pricing and a team of commission-free associates to assist you, our process is different because you are in complete control every step of the way. From our digital express store to the driveway – you have the tools at your fingertips to customize payments, financing, coverage, and protection with no hidden fees or fine print along the way. And, because we’re a one-stop-shop, our expert team of service technicians will help you maintain the life of your new ride. 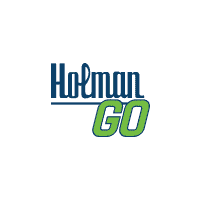 Holman GO, an honestly easy way to purchase your next vehicle. At Holman GO we make things transparent and easy. Our Express Store makes financing a breeze by giving you complete control of the process. You can design your coverage and tailor your payments from the comfort of your couch. Looking for a little help in the process? Your dedicated Product Specialist can assist you at any point, just visit our store and pick up where you left off! Want a car without the commitment? flexdrive – our subscription service makes ownership flexible and fun. No need to worry about having your insurance all lined-up before you purchase or pick-up your vehicle – That’s what Holman Insurance Services is for, part of Holman GO’s one-stop-shop of services. You’ll get a unique combination of on-site consultation and an extensive selection of insurance offerings all wrapped up in one valuable bundle. There’s nothing like knowing you’re getting the right coverage at the right price. With individual plans to protect your investment, Holman GO gives you the freedom to choose as little, or as much, coverage to fit your budget. Add it to your payment when you’re customizing your deal in our online express store, or speak with one of our trained Product Specialist. Finally, a transparent car buying process that makes purchasing your next vehicle honestly easy. Holman GO in Princeton offers haggle free pricing, no dealer fees and a team of product specialists free from commission based pay plans. With our totally transparent pricing, you can expect zero last minute surprises – just pay the price you see plus your state’s tax and licensing. We use a market based pricing model for our used cars so that we can be confident that our vehicles are priced right where they need to be based on current market conditions. All of our inventory goes through a rigorous 100+ point inspection and quality reconditioning so your car won’t just be new to you, but like-new period. Value is our middle name. And whether you are trading in a vehicle or not, we’ll buy your car even if you don’t buy ours. Still not sure if Holman GO is right for you? Our 7-day return policy gives you the peace of mind in knowing every transaction isn’t complete until your satisfaction is. Add that to the remaining manufacturer warranty or 6 month / 6,000 mile warranty you’ll receive and we think you’ve found yourself a winner.